A wedding is a once-in-a-lifetime experience and requires a great deal of planning in order to ensure that the day runs smoothly and without stress. To help with planning your wedding, purchase a notebook and several folders or a loose-leaf binder so you can keep track your receipts and of what you need to do and when. About 12 months before your wedding, you should determine how it will be financed and how much you want to spend. Create a spreadsheet and use it as a budgeting tool to allocate and track spend. There are lots of these available from Microsoft for Excel. At this time, you should also select the date of your wedding and the time so you can reserve the location for the ceremony and the reception. You may need to do some research to find gay-friendly venues. 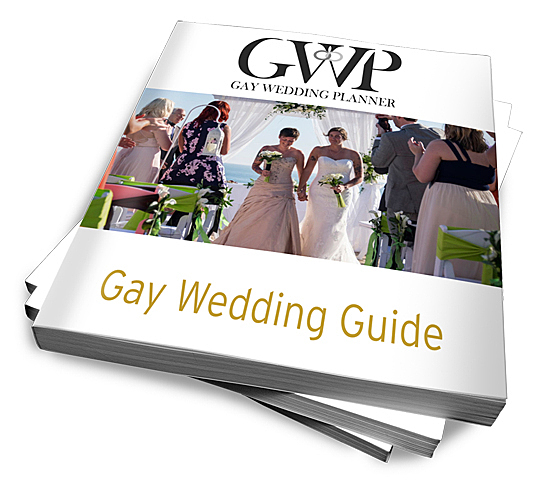 Hiring a wedding planner who is knowledgeable with planning gay weddings can save time and help to take the stress out of planning the rest of your wedding. Along with selecting the venue, finding a caterer and reserving any rental equipment that is not handled by the caterer or venue should also be done at this time. Sign contracts with vendors once the costs have been negotiated and details finalised. About nine months before your wedding, determine your wedding theme or colours and purchase wedding outfits and accessories. Start compiling a guest list, dividing them into those who you feel will definitely come and those who are possibilities as well as those who are from out of town and those who are local. Look into reserving accommodations for those who might need it and arrange for discounts. Select a florist and book a band or disc jockey for the reception and any music that you may want at the ceremony. Give notice to your local registry office that you are getting married and make arrangements with a registration authority. You can also determine your vows, who will give readings, and other details related to the ceremony. Six months before the wedding, order invitations, complete the guest list, order the wedding cake and purchase outfits for the wedding party. Start planning your honeymoon as well. Four months before, register with a gift list service, purchase wedding rings and mail invitations. Two months to go, make appointments with hair dressers and those who will be making you look great on your special day. A month before the wedding, finer details need attention, such as picking up the weddings rings, giving a final count of guests to the caterer, making final arrangement with your photographer, videographer, florist, band or disc jockey, florist, officiant, etc. Most important, the day before your wedding you should relax and get a good night’s sleep so you can have a great time and enjoy your special day! 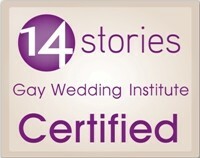 Don’t forget we can help with your LGBT wedding planning, find our more about our services here.